Ishunga Inc: Girl kills animals and posts pictures onto facebook! Girl kills animals and posts pictures onto facebook! "[sic] ich hoffe Kendall Jones passiert das gleiche was sie den Tieren antut so gestört diese Frau einfach mal durch Spaß bedrohte Tierarten töten also wenn sie denkt das man das einfach nur durch Spaß tut dann kann man das gleiche auch mit ihr machen aus Spaß natürlich nur." 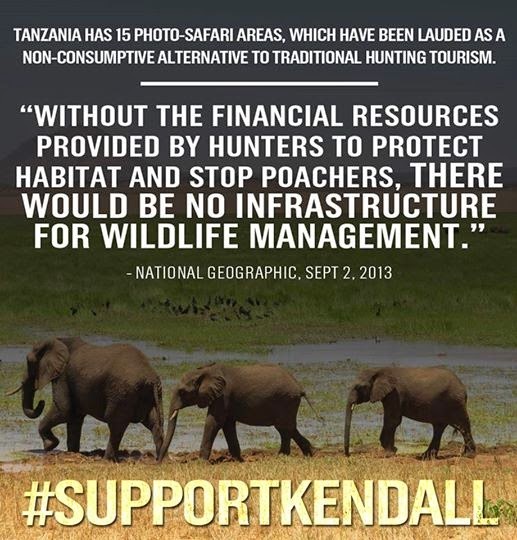 Which basically just means that they wouldn't mind her Kendall Jones to be shot in the same manner as she shot those animals "only for fun of course". She did state "Hunters are the biggest conservationists there are," . I have been reading about this story for a few days now and have come to find it funny that even some news agencies in the US have not done Kendall the courtesy of asking what those pictures were actually all about before going public. Well, I did some digging and found out that the hunting was for conservation purposes and that some of those animals were not dead but rather sedated. Now most people might not know this but, Namibia for instance is one of the leaders in conservation activities. Remember the Rhino incident? One of the most popular conservation activities that I have learned about in school is guided hunting it might be a lion, buffalo etc. but it is done for those that can afford it. The monies derived from these activities further fund the conservation activities. The meat from most the animals is given to the local communities in those areas. In the end everybody wins, those that paid are happy they got their thrill, some jobs have been created in the local tourism industry, some people get rare and exotic protein, conservation activities can continue. As i was taught, these activities do not happen all the time but only when there is a need to do so... i.e. population control, misbehaving animals etc. So before everybody jumps down her throat and label her the anti-Christ it is advised to do some research on matters first rather than apologizing later.